Xanax (alprazolam) is one of the drugs in the benzodiazepine family, a fast-acting sedative that is wildly popular in the U.S. In fact, with an estimated 49 million Xanax prescriptions written in 2012, Xanax is the most prescribed benzodiazepine and the second most prescribed psychotropic drug in the country (after Vicodin). Xanax is intended for use by patients who suffer from anxiety or panic disorder, as it provides a satisfying sense of relaxation in minutes. Unfortunately, Xanax is also prone to abuse, addiction, and dependency. Some individuals may become addicted psychologically, believing they cannot manage any little stressor without popping a Xanax. Others may abuse Xanax recreationally and combine it with other drugs, such as OxyContin or alcohol. Still others may indeed be using Xanax legitimately, but due to increasing tolerance, may need higher and more frequent dosing to achieve the initial effects. Once someone has become chemically dependent on Xanax, they may realize their predicament and be tempted to just quite taking the drug. But Xanax withdrawal symptoms cold turkey style are incredibly vicious and potentially dangerous. For this reason, no one who has a Xanax addiction or dependency should attempt detoxing without medical assistance. Like all benzodiazepines, such as Valium and Ativan, Xanax is highly addictive. With the promise of quick relief from anxiety or stress, this drug is effective in its use as a sedative. However, benzos are prone to causing rapid tolerance to the drug, prompting the individual to step up their dosing in order to continue to reap its effects. 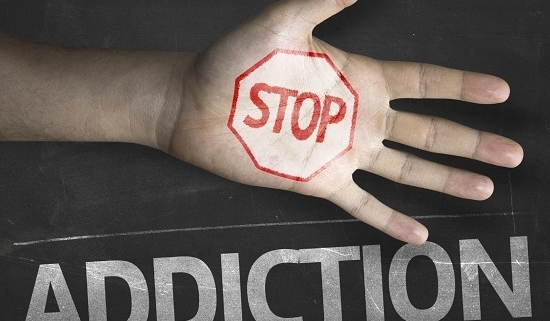 As tolerance causes higher dosing, addiction and/or dependency can develop. Benzodiazepines work by spurring on GABA production, which is an important neurotransmitter involved in the brain’s balancing act. When GABA is continually released through this chemical intervention, versus naturally, the brain will begin to produce less of the GABA naturally. This means that when someone abruptly stops taking the drug, thus experiencing Xanax withdrawal symptoms cold turkey, their body and brain react with intense instability. Within a few hours after the last does of Xanax, withdrawal symptoms will begin in earnest. Instead, the recommended course of breaking free of a Xanax addiction is through a medically supervised tapering program. The detox specialists understand the dangers of benzo withdrawal and will design a schedule to incrementally wean the individual off of the drug. Although withdrawal symptoms will still be experienced, they are controlled, due to the tapering and the medical interventions provided by the medical detox team. Detoxing off of Xanax can take anywhere from 7-14 days depending on the length of time the person was addicted to the drug, and what their typical daily dosing was. 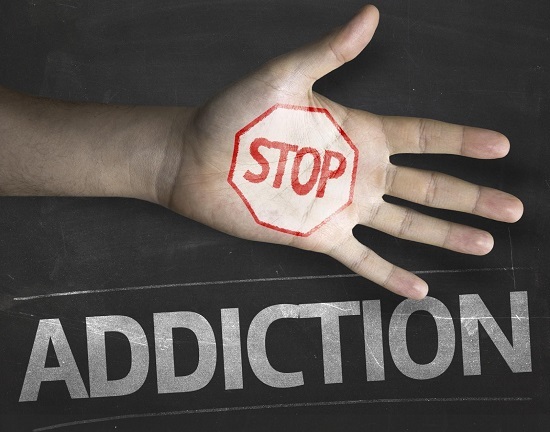 After the detox is successfully completed it is time for a comprehensive addiction treatment program. Treatment will involve a collection of therapeutic strategies that assist those in recovery to develop new behaviors, which will replace those that followed triggers with Xanax use. The individual will learn how to reframe the negative self-talk that sends them reaching for the drug anytime their feel stressed out or worried. Cognitive behavioral therapy strategies show individuals how to take the distorted thoughts and turn them into empowering, healthy self-messaging. Psychotherapy is the mainstay of addiction treatment, so when someone is being treated for Xanax addiction, they will engage in both individual and group therapy, including family therapy and couples therapy if applicable. These evidence-based treatment approaches are enhanced by adding experiential and holistic activities that will help those recovering from Xanax addiction incorporate new recovery tools into their new lifestyle that help control stress. Mastering these skills can provide daily assistance for managing stress and avoiding relapse. Most of the activities, other than getting regular exercise, can be easily found on YouTube videos, phone apps, and podcasts, making them highly accessible at any time of day. How a person approaches their post-rehab experience can make or break recovery outcomes. Too many mistakenly assume that after they have detoxed and completed a 30-day rehab program they are good to go. This is simply not the case, and is the kind of thinking that will quickly result in a relapse. In early recovery the individual is quite vulnerable to triggers that could send then back to the Xanax. It takes time to incorporate the recovery skills learned in rehab into one’s daily routine until they become habit. For this reason, it is imperative that in early recovery aftercare resources are sought out. These can include such things as attending recovery community meetings, such as a 12-step or non 12-step program. These groups provide an opportunity to share with others and gain needed peer support in recovery. You can also obtain a sponsor who can help you navigate the challenges often experienced in early recovery. Also, weekly outpatient therapy is a smart idea, as the therapist can walk you through any emotional issues or upsetting events that might otherwise lead to a relapse. Xanax addiction is highly treatable. When ready to take the first step to overcoming a Xanax addiction, contact a medical detox program for safe detoxification. Capo Be the Sea offers the perfect blend of idyllic location, expert addiction therapists, and holistic activities that compliment traditional therapy—all set in a luxury environment. Situated in one of South Orange County’s favorite beach communities, Capo By the Sea treats Xanax addiction from medical detox through rehab and finally aftercare programming. Avoid Xanax withdrawal symptoms cold turkey—it is too dangerous. Instead, reach out to Capo By the Sea and allow us to help guide you through the detox process safely. Call today at 888-529-2114.